National leader of the All Progressives Congress (APC) Asiwaju Bola Tinubu has stated that he has never had any fight with the present governor of Lagos state, Governor Babatunde Fashola. 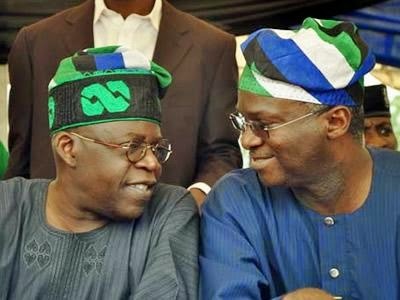 Tinubu who was reacting to rumours that he had a face-off with Fashola wrote on Twitter: “Between Fashola and myself there has never been any fight only disagreements over procedures in the past. It borders on the party position,” Tinubu wrote on his Twitter account. He stated further that: “All this is in the past. What we have achieved politically in Lagos and Nigeria is a result of team work, political compatibility and vision,” he said. It would be recalled that it was reported that Asiwaju and Fashola fell out before the governorship primaries in Lagos state. Political analysts claimed that Tinubu imposed Lagos governor-elect Akinwunmi Ambode on the party.